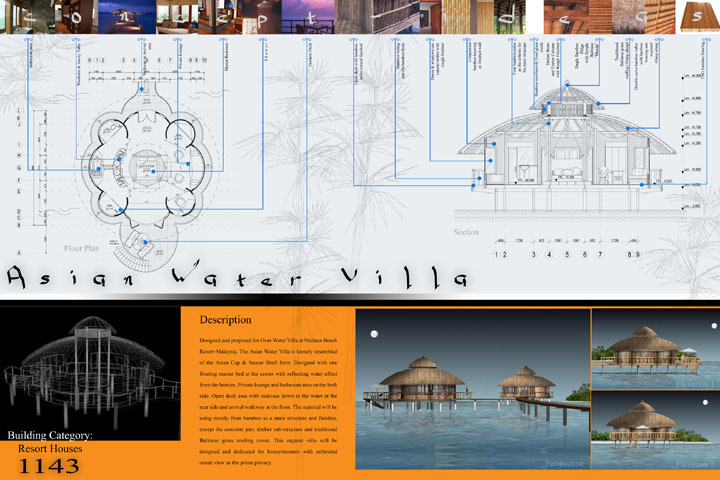 This structure is proposed for the Over Water Villa in Malaysia. Conceptually, the design uses mostly organic curves to keep things easy on the eyes and easy on the mind. Bamboo is the primary material, structurally and decoratively, and Balinese style grass is used for the roofing.